Saliva protects the mouth from sores and ulcers. Protects the oral tissue of the mouth. Helps in digesting food and process of mineralisation of the teeth. Acts as a solvent to stimulate the salivary glands. It can even cause serious issues like blocking the salivary glands. Dry mouth syndrome may even develop other conditions such as stress, anxiety, depression, dehydration etc. Multiple cavities around the gum line etc. The treatment plan will be based according to the results after the diagnosing the condition. Low sugar diet and fluoride contained toothpaste will be suggested by the dentist. Antimicrobial treatments are suggested to combat the effects of the condition. You will be advised to avoid mouthwashes that contain alcoholic element in it. Patients who have sweet tooth are at more risk of developing cavities. Drinking a lot of water can help you out to prevent this to a certain extent. To stimulate the salivary flow, chewing gum can be consumed. In certain cases, the dentist may even prescribe certain medications like Pilocarpine and Cevimeline to increase the saliva. Asthma and glaucoma patients will not be allowed to take these drugs. Lubricants like glycerine will help to ease the discomfort while eating and speaking. It is not meant to cure Dry Mouth Syndrome, but it will help in reducing the discomfort caused by it. People infected with Dry Mouth Syndrome may also get infected with anti-fungal infections such as Candidiaisis. 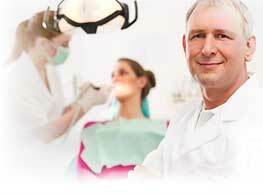 In such cases, the dentist will prescribe topical treatments for them. People who use dentures will be suggested to soak the dentures daily in chlrhexidine or 1% bleaches in order to prevent fungal infections. Dry Mouth Syndrome cannot be prevented using any measures. The side effects of DMS can be prevented and minimized using various methods. Studies say that, there is no such specific method to uproot Dry Mouth Syndrome. Drink water during repast to aid chewing and swallowing. Avoid alcohol, tobacco, sugary or acid foods and candies.